Use your favorite multigrain cereal in this delicious bread machine recipe, which is incredibly good toasted. Multigrain Loaf is full of flavor and texture, and it's fabulous spread with your favorite jam or jelly or with whipped honey for breakfast. Also use it to make sandwiches, especially with sliced roast beef or chicken. Or make grilled cheese sandwiches for a wonderful combination of melted and gooey cheese and crisp and crunchy bread. Bread machines were all the rage about 10 years ago, but they have fallen out of fashion. I still think they are a great value and can give you homemade bread with very little effort on your part. So pull yours out of the cupboard and make this recipe! Bread machines are all a bit different, so to use yours correctly, make sure you follow the manufacturer's directions for adding ingredients, kneading, timing, and baking. Read through the instruction booklet to make sure you understand how to use the machine before you begin. Then enjoy the delicious results. Place the water, softened butter, bread flour, whole wheat flour, seven grain cereal, brown sugar, salt, and bread machine yeast in the bread machine pan in the order recommended by the machine manufacturer. Select the Whole Wheat or Basic/White Cycle. Use the Medium or Light Crust Color selection and start the machine. Let the machine mix the dough, knead the bread, let the dough rise, and bake the bread. 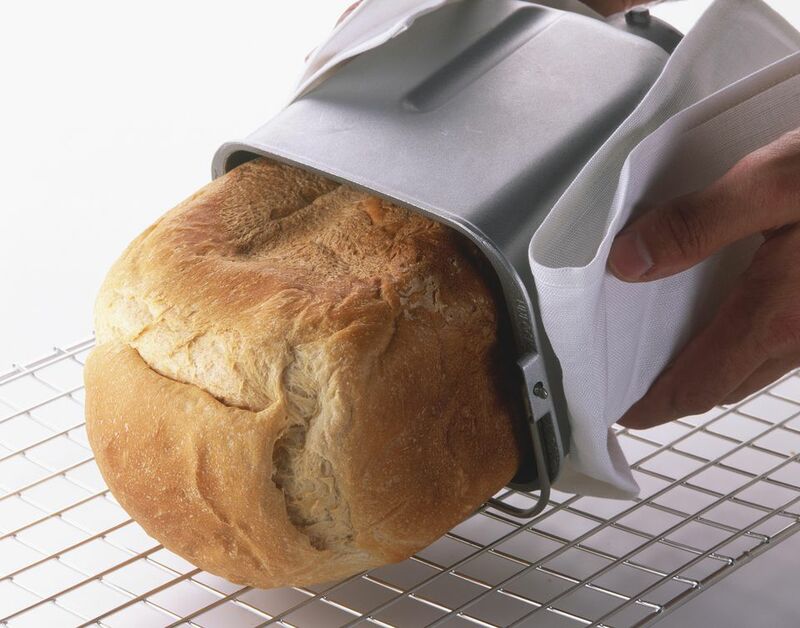 Remove the bread from the bread machine when it's done and let it cool completely on a wire rack.